17.01.2019 Tags: Announcements, Rebel Inc.
We’re thrilled to say that the launch of Rebel Inc. has been a stunning success. Thank you so much for all your support! We wanted to give you all an update on what we’re working on at the moment, and to let you know about new Rebel Inc. content that you can play through right now! Rebel Inc. Update 2 is live on iOS! Discover 30 unique experts as you play and then hire them at the start of a game to customise your Operation. A Tribal Elder will delay the insurgency but a Chef will improve Coalition soldier morale. A Tax Collector would increase your budget but maybe you just want a Trained Monkey to make the difficult decisions for you...? Rebel Inc. is now fully localised in French, German, Spanish, Portuguese, Italian, Korean, Japanese, Chinese (Simplified and Traditional), and Russian. Since Rebel Inc. launched on iOS last month we’ve received a huge number of requests for the game to come to Android. The good news is: we’re working on the Android version right now. The even better news? It’ll be available for you to play via the Google Play store in early February 2019. 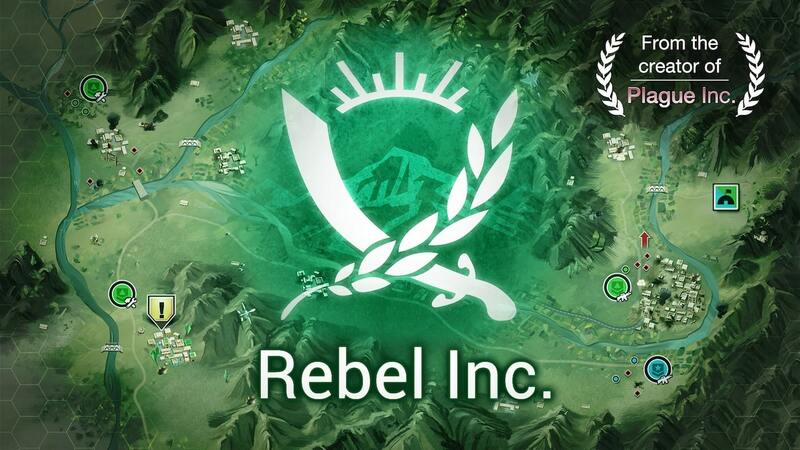 UPDATE: Rebel Inc. is out now on Android and you can pick it up here! If you're yet to pick up the game and have an iOS device, you can get it right here on the Rebel Inc. App Store page. That’s all for now, though give us a follow on Twitter and Facebook to keep up to date on the latest Rebel Inc. (and Plague Inc.!) news.